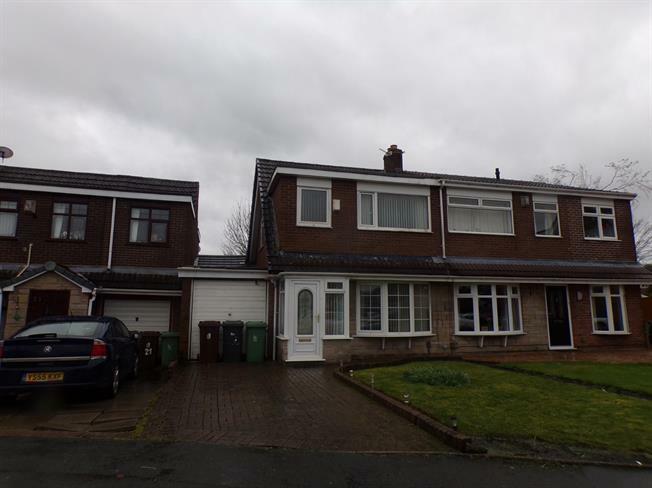 3 Bedroom Semi Detached House For Sale in Wigan for Asking Price £140,000. Entwistle green are pleased to offer for sale this lovely three bedroom semi detached house for sale. The Property comprises of Lounge, Dining room and kitchen to the ground floor. To the first floor are three good sized bedrooms and a family bathroom. To the rear of the property is a lawn area with a separate patio. Established borders and shrubs. Range of wall and base units with complimentary work services. Laminate flooring. Space for fridge freezer and washer. Double glazed window to the rear. Radiator. Built in wardrobes. Double glazed window to rear.